Well, folks, 2016 is coming to a close, and I only wrote 2 posts here on the blog. That’s a little depressing. I won’t make a resolution to try to write more next year; I don’t really do resolutions. But I wanted to check in here and record a few things. This year has been a bit of a wild ride in Archives Land – well, mine anyway. A couple of my co-workers resigned (to take other positions elsewhere) in the first half of the year. 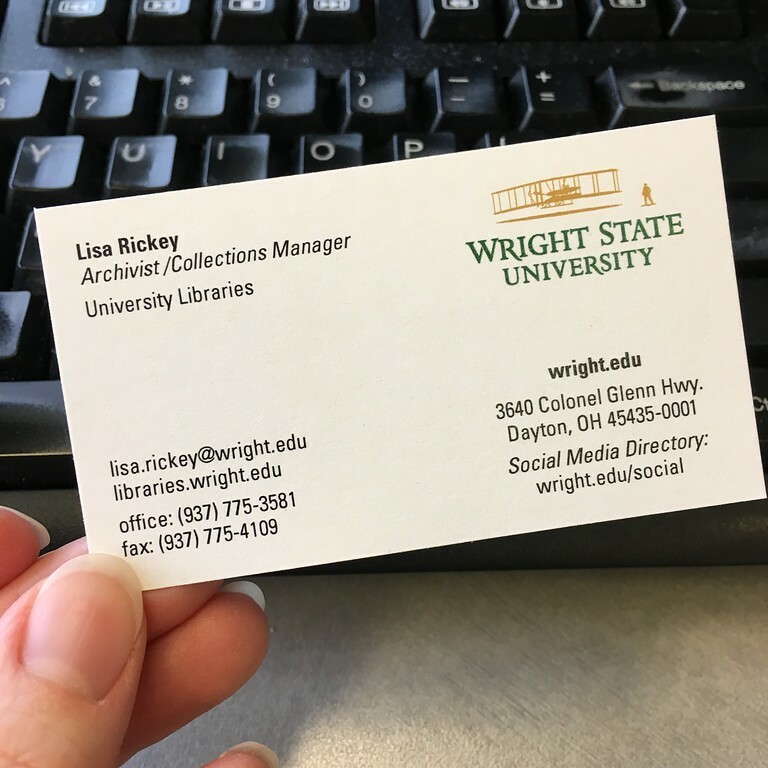 To help put this into perspective, I’m talking about 2 full-time archivists out of a grand total of 6 FTEs in the entire university special collections & archives department – that’s 1/3 of our professional staff. So yeah, that obviously caused a wee bit of upheaval in our department. Meanwhile, the university where I work has been experiencing some financial issues (this has been all over the news), and so we were not able to refill both positions, only one. I am very excited about this change. It’s a chance to do something different than what I’ve been doing, and I have a feeling that my skills and natural proclivities will be well-suited to it. Another exciting thing happening in Archives Land is that we are in the process of fundraising for and designing a new archival facility. This has been in the works for what feels like ages, but I feel like I can finally talk about it, now that it has been in the news (Dayton Business Journal, 2016 Dec 28). It’s definitely not a secret anymore. 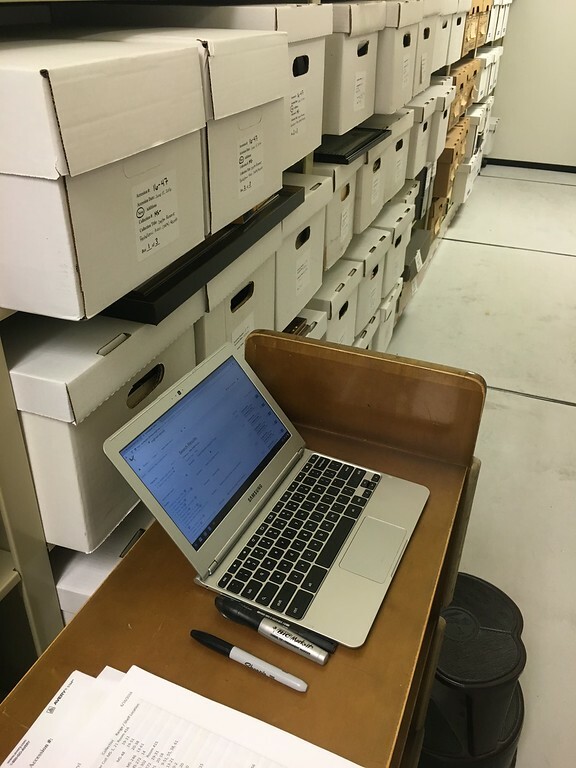 We are looking forward to hopefully soon having more physical space for collections as well as more and more-specialized spaces for other archival activities, such as preservation, processing, and exhibits, among other things. In other news, I read a lot of books this year. My last post was about one of those. I did a reading challenge, and I ended up reading about 100 books over the course of 2016. That is a ton for me. Most were novels; nice, relaxing novels. A few were history books. A few pertained to the archival profession. I’ve been brushing up on the archival processing literature, as processing management is another aspect of my new position. Hand in hand with that, I am also lined up to co-teach our university’s graduate course on archival processing this upcoming spring term (in a couple of weeks!). This will be my first adventure as one of the official instructors of a college course. I’m not going to lie, I am extremely relieved that (a) a former co-worker who has taught this class before agreed to co-teach with me and (b) there are only 5 students in the class. Let’s all just ease into this, shall we? 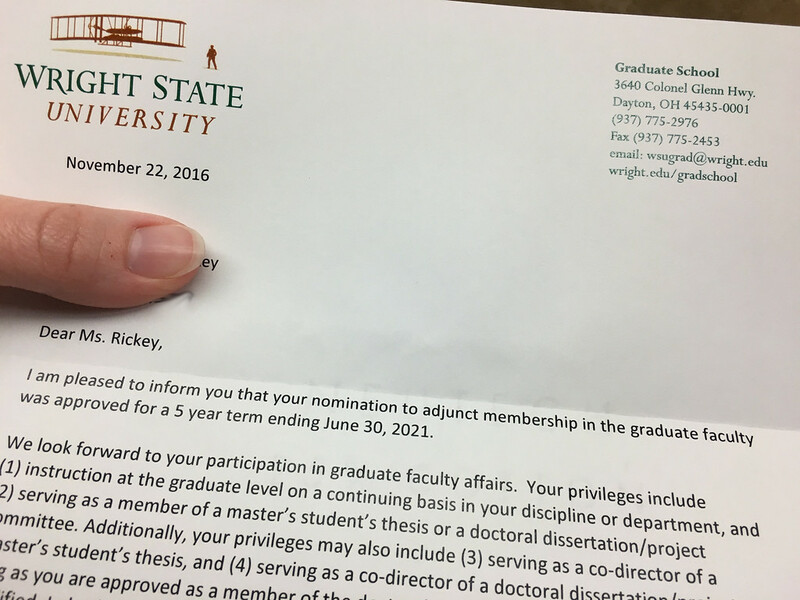 In this case, nothing says “official” like a letter from the Graduate School accepting you as faculty! One final interesting/exciting thing in History-and-Archives Land is that I was approached earlier this year about the inclusion of something I wrote for this blog in a published book. I won’t say much more than that, because I don’t want to give away the author’s subject matter. But in the course of discussing how the information might be included in the book, I was invited to actually write/rewrite the material myself for the relevant chapter, and I agreed. So that’s pretty cool – someone wants me to write something for an actual book. I’ve been cited a few times (that I know of) in books but nothing like this. There is certainly a lot to look forward to in 2017. This entry was posted in Editorials and tagged archives, archivists, special collections. Bookmark the permalink. Congratulations… have an interesting 2017!! Forest Ave Church was my first job as a church organist in 1955 when I was 13 years old. Emil Bauman was the minister. I eventually became a professional church musician for obver 60 years and loved every minute of it.